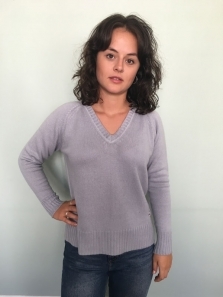 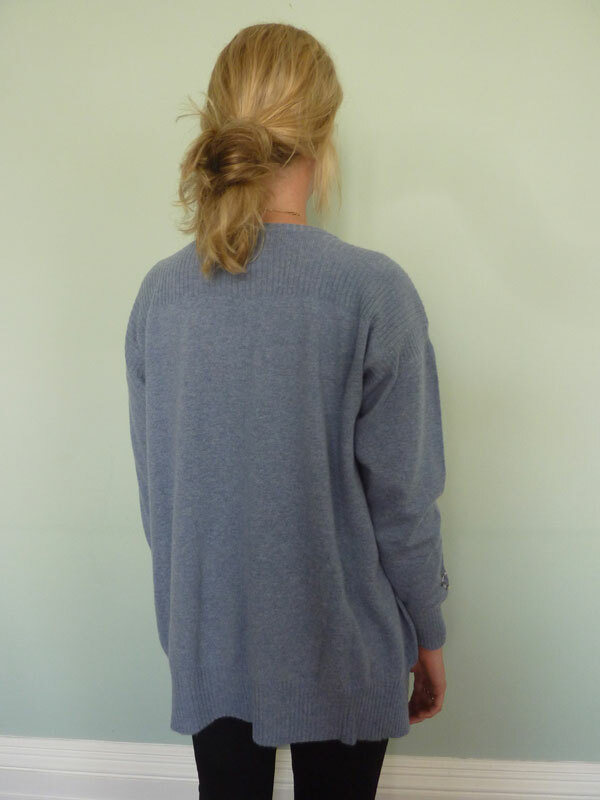 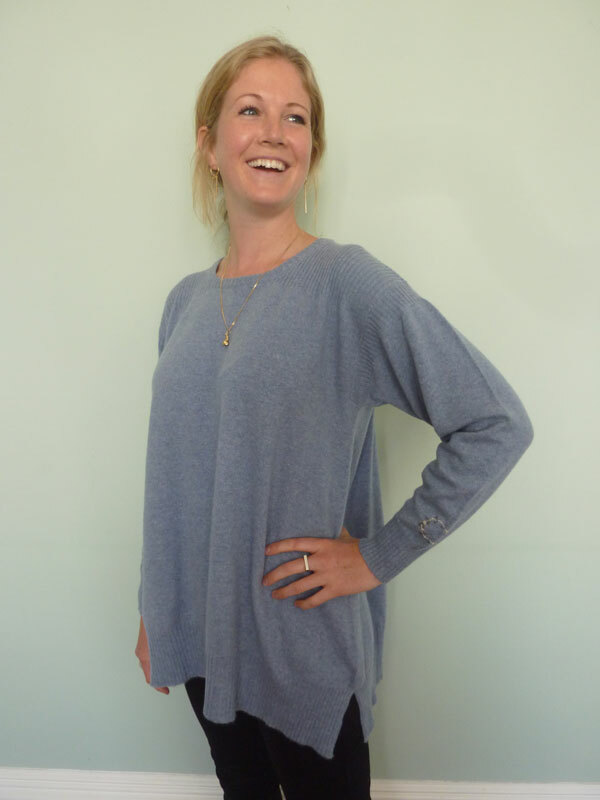 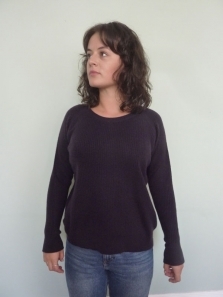 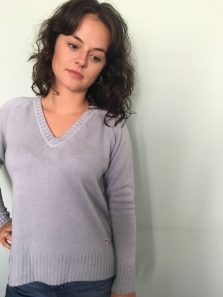 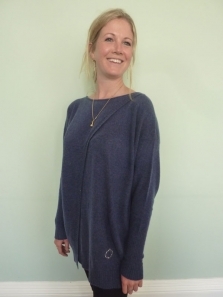 Extra wide, loose cashmere jumper that hangs well from the shoulders. 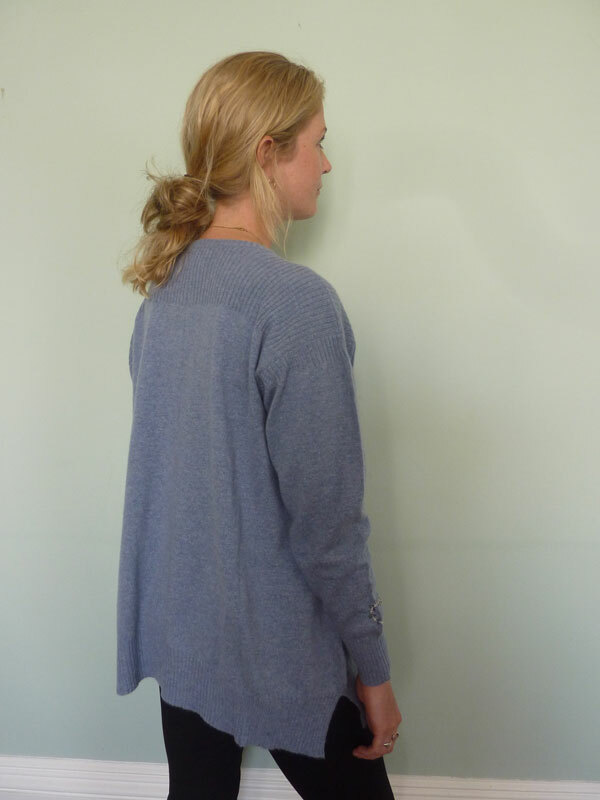 Side slits at deep hem, interesting ribbed detail at shoulders and top of sleeves. 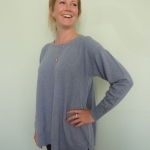 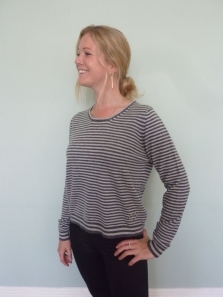 Ideal for layering, lovely worn over a white t-shirt with fitted trousers. 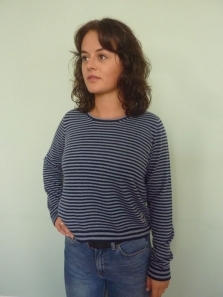 Our wreath embroidered on both sleeves at the cuff.